Provide ongoing strategic support, technical consultation, and development for websites, email and Raiser’s Edge. 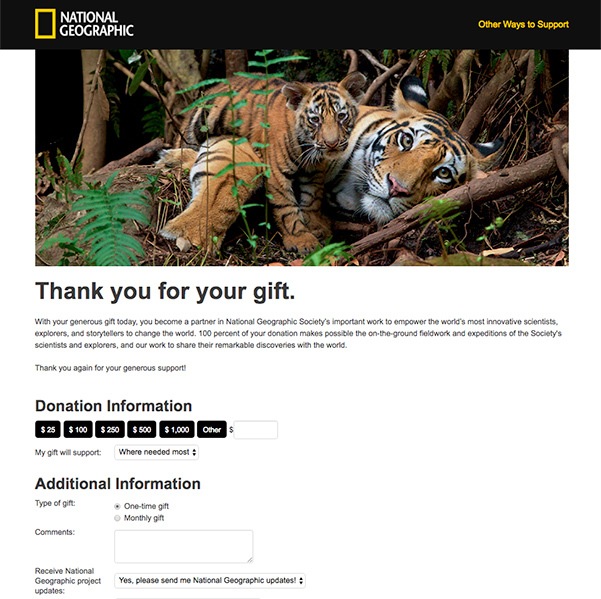 Develop HTML emails to support organization fundraising initiatives. 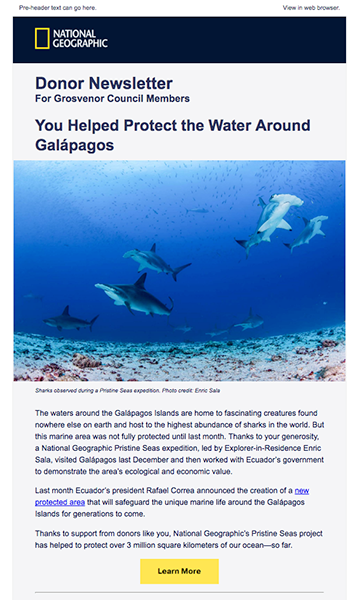 Implemented custom donor tracking solution to support organization’s analytics strategy. 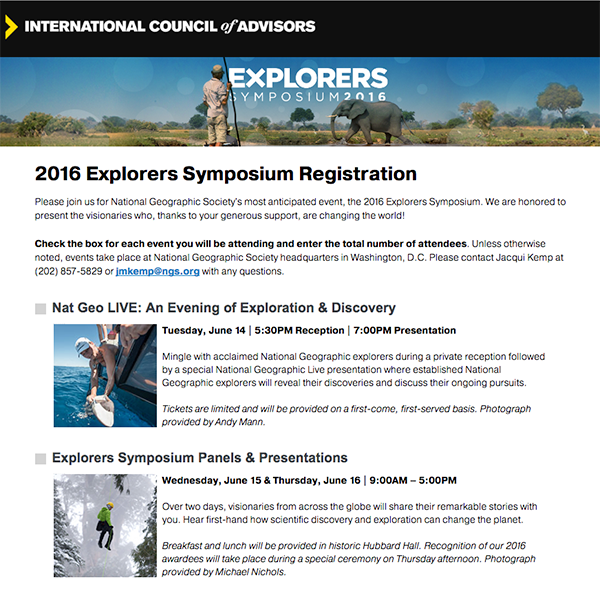 Provided consulting for and the development of new online Symposium event registration and email communications, to invite-only segments of constituents and using conditional content for messaging and events available. 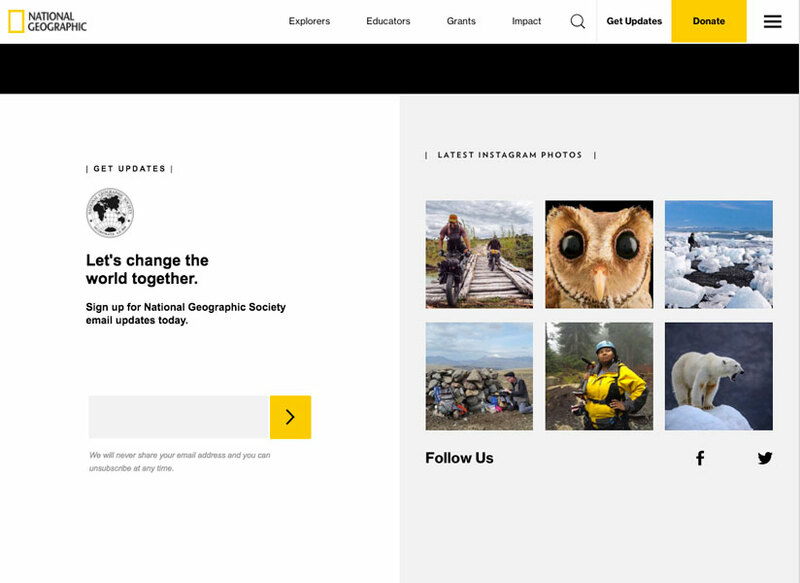 Partnered with National Geographic IT teams globally for coordination of BBNC embeds into lightbox technology on newly designed website. 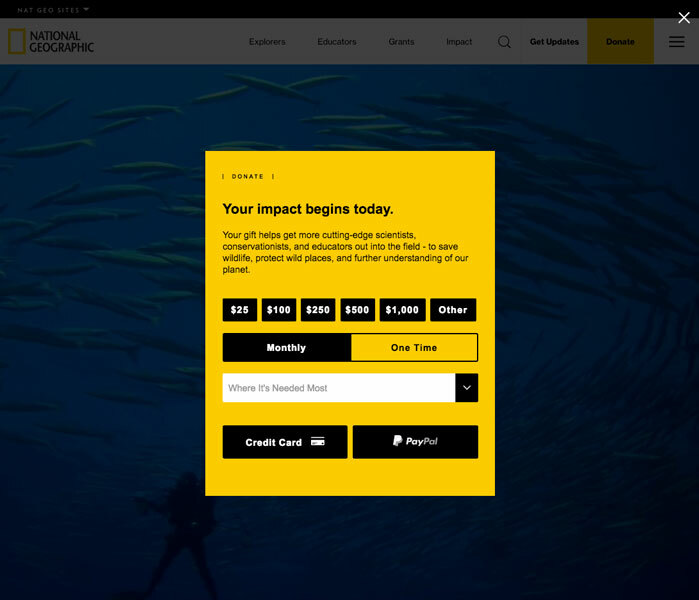 Developed modular custom Blackbaud NetCommunity (BBNC) donation form and e-Communication sign-up form to be embedded on main National Geographic Society website. 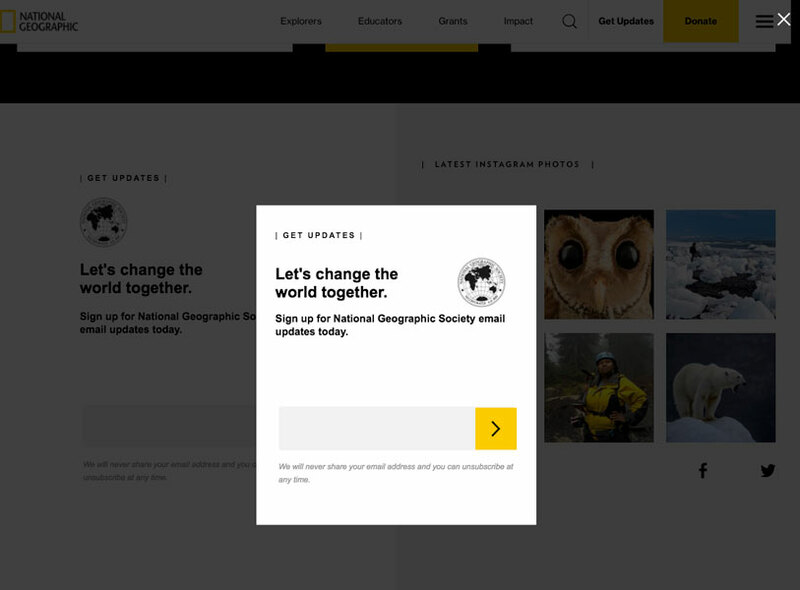 Created CSS to ensure displayed forms align with overarching National Geographic brand identity. 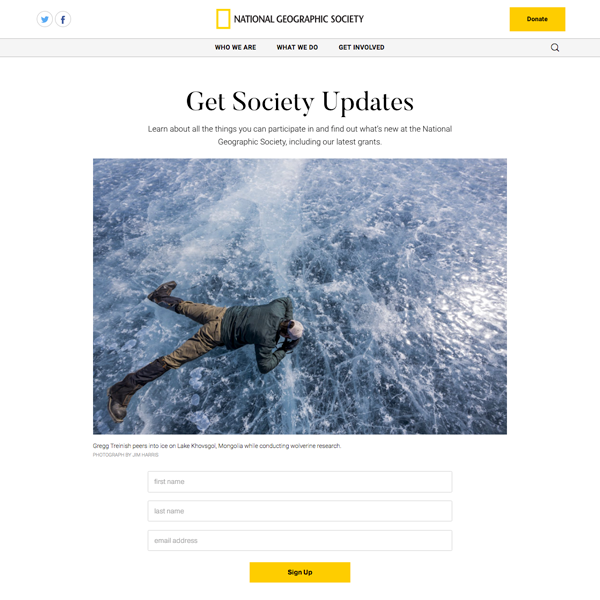 Applied custom Google Analytics tracking to enable National Geographic to track successful e-Communication subscriptions via the new form.